I have been at Holly Street since 1986! I grew up in Chicago along with my four brothers. I was right in the middle. We were an outdoor family and I have nothing but great memories. I went to college at St. Mary’s of Winona Minnesota and majored in Environmental Biology. It was nestled in the bluffs along the Mississippi River near LaCrosse, Wisconsin. It was beautiful. I married and moved to Mammoth Lakes California located in the High Sierras. Talk about beautiful. Snow was a way of life. A foot an hour was no big deal. Daughters, Mikella and Jamie were born there. In 1986, we moved to Nashville not knowing I was pregnant with twins, Karl and Janet. I landed at Holly Street and you would not believe the then and now of East Nashville. I should have been keeping a journal so that a book could have been written. Though it has been quite a journey, working more than full-time, raising four children and commuting from Robertson County, I feel very blessed to have been at Holly Street. I love seeing Holly Street children grow into young adults and being a part of all of the families. And now I have five Grandchildren and I feel young all over again!! Life is good. Hello! 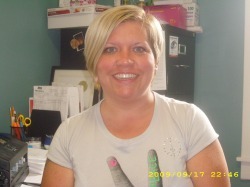 My name is Tiffany Whittemore and I have been at Holly Street Daycare since 1997. I worked in the evenings after school and absolutely loved it. My favorite thing about Holly Street is the people I work with and the children we get to see growing and learning. I can not imagine being any where else. I graduated in 2005 with a Technical certificate in Early Childhood Education and am currently enrolled at NSCC to attain my A.A.S. degree. I also have a current Child Development Associate (CDA). I have 5 nieces and 3 nephews that I love spending time with. I also have 2 dogs named Runt Ro and Rina Roo. Hi my name is Kaneshia Marsh. I have worked at Holly Street since February 1999. I am married to my high school sweetheart and we have 2 beautiful children. I have worked with children since I was 14 years old and I have learned so much through the years. I have a Technical certificate in Early Childhood Education, Associates degree in Business, and a Real-Estate license. I have a passion for children, real-estate, and home interior design. Children are so much fun and bring me so much happiness, you never know what each day is going to be like! Holly Street is full of wonderful people who have a passion to care for children and I wouldn't trade it for any other job in the world! " Holly Street is my family"! I am also known as Shell at Holly Street. In 1998 the tornado came through Holly Street and dropped me off. I couldn't be happier. I am a mother of 3 girls Cheyenne 23, Chenelle 18 and Chemille 5 who attended Holly Street and loved it. I have my CDA in Early Childhood. I absolutely love Holly Street. There is such a positive atmosphere when you enter each room. Every teacher is here because they love children. Growing up I always knew I wanted to work with children. I can’t imagine being anywhere else, this is my home away from home! Hello! My name is Laura Johnson and I graduated from Austin Peay State University in 2012 with a Psychology Degree and am currently pursuing my Masters Degree in Business Management and Leadership! I never knew that taking a job at Holly Street Daycare back in Feb. 2009 would turn into a career that I am blessed to be a part of. From the Nursery all the way to our School-Age program, I have enjoyed getting to know every age and being a part of their development! They have helped shape me into the person I am today and I am forever grateful for this opportunity. Not only do I get to work with children on a daily basis but I also get to work with a staff that I feel is more like family. My name is Marissa Swanson, and I have been working at Holly Street since I was 15 years old. I have a Master’s Degree in Early Childhood Education from Belmont University. I also have a Bachelor of Arts degree in Psychology from the University of Tennessee. I am entering my seventh year teaching Pre-K, and I couldn’t be happier. I am a Nashville native, and I actually grew up going to Holly Street. I enjoy watching football (Go Vols! ), Netflix, hiking, and spending time with my family and friends. I absolutely love working with children, especially in the Pre-K. We truly are one big family here at Holly Street, and that’s what makes my job so special! I was born some time ago deep in the woods of North Carolina outside a small town called Hillsborough. Early on in life I decided that I wanted to be 3 things: an artist, an archaeologist, and a teacher. After attending North Carolina School of the Arts and Oberlin College I landed in Nashville where I've had jobs as a gardener, an usher, department supervisor at Home Depot, and much to my surprise, an artist and archaeologist. All of these jobs led me towards what I really want to in the end- teach, and to a deeply held belief- a day is wasted if you don't learn something new. My name is Dietrich Eitzen and I have been a teacher at Holly Street Daycare since my wife Andrea and I moved here to East Nashville in the fall of 2014. Before working at Holly Street, I lived in Northern Indiana where I received a bachelors In Communication from Goshen College. I then proceeded to teach special education at Goshen High School for 4 years. I am an enthusiastic learner who loves to soak up any and all kinds of information. I am an avid outdoors person. My hobbies include camping, hiking, fishing, bird watching, and hunting. I even do some off-road uni-cycling! I enjoy teaching here because it serves as an opportunity to share the random knowledge I pick up with this awesome group of kiddos. I especially love learning and teaching about the natural sciences. The highlight of being a teacher for me is when a student can challenge me with a question. It is so fun to seek the answer to their question, and then figure out a way to make that information accessible to a young audience. Hello, My name is Chenelle Rainey and I started working at Holly Street in September of 2016. I am currently in school for criminal justice. My mother Micheal has worked here since I was born. So I have been at Holly Street my whole life. I always said when I was young that I wanted to work here just like my mom, so here I am years later still here :)! Holly Street is one big amazing family that loves caring for children and helping them prepare for the amazing life they have ahead of them. At the end of the day we all go home feeling accomplished because we know we taught them something new that day that will be helpful in the future!!!! 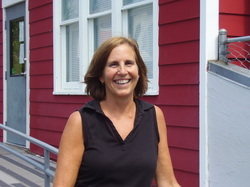 Hi, my name is Catrina Washington & I have been at Holly Street since June 2012! I volunteered my senior year of high school (2010-11) and have loved it here ever since. I love kids and the different things they learn and do everyday. Everyday is a new experience that keeps your eyes wide open and you on your tiptoes! The most important thing being here is, we love each other as one big family. That’s the greatest thing to have and enjoy! See you in T3! My name is Shelby Carter and I have been at Holly Street since January 2011. I found my niche in the toddler classrooms, and things have been flowing since. I love kids, and I especially love their hugs that I get from them every day. In my spare time I am organizing, singing along to the music, and writing poetry. I am five classes away from receiving my Bachelors in Organizational Leadership from MTSU. I am eager and cannot wait to begin that next chapter of my life. Hi! My name is Lauren Serling. I’m a new face at Holly Street and have been here since August 2018. I am originally from New York and recently moved down to Nashville with my husband. We love the energy in this city and when we’re not at the gym we’re hanging out with friends or trying out the newest restaurant in town. I have a business and finance degree from the University of Scranton and after 7 years in the Real Estate Lending world I decided to change paths and fulfill my true passion of working with children. I feel as if I now have a purpose every morning when I drive to work. Holly Street is like one big family and I’m so grateful to be here. Hi, my name is Rikki Boyd. I am currently enrolled in school majoring in Nursing. I love working at Holly Street. The children are fun to be with and I learn something new everyday. Holly Street is a great place to work and I see myself here for a long time. Hello my name is Hailey Craven and I have been working at Holly Street since January of 2016. I graduated from Donelson Christian Academy in 2015. I was born and raised in East Nashville. In my free time I enjoy spending time with my friends and family, watching football, traveling, and shopping. I absolutely love coming to work each and every day knowing that what I do makes such a big impact on each one of these children. Holly Street has welcomed me into their family and I couldn't be happier! ​My name is Kristen Sebby, and this is my second adventure at Holly Street. I initially started working here in 2008 after graduating from Belmont University. For Round 1 I worked in the 3’s classroom until December of 2010. I had decided to pack up and join the United States Marine Corps, and by golly that’s what I did. I then moved back to Nashville in the spring of 2015. This year marks the start of yet another journey as I have returned to Holly Street and started working on my Master of Science in Psychology- Applied Behavior Analysis. So now that you have the facts, here’s the real scoop. I am constantly working to improve my little slice of East Nashville heaven with my two cats, and dog. When I’m not working in the yard or the Holly Street nursery you can find me adventuring outside or rock climbing. I cherish the balance working with children gives my life, and couldn’t imagine working anywhere else for this chapter of life. My name is Vonne and I'm here to say, Holly Street is special in every way. We love the kids, they are the best. Every day they will be blessed. I grew up in a small town in northern Virginia, between Washington, DC and Richmond, VA. I moved down to Nashville in 2003 to attend Belmont University, where I graduated in 2007 with a Bachelor's of Business Administration. I also married my husband in 2007, about two weeks after college graduation. We now have two daughters, Embyr who was born in 2010 and Irys who was born in 2016. They keep us busy and thankful! When I am not working at Holly Street or hanging out with my family, more than likely you can find me teaching or practicing Pilates. Pilates is my favorite hobby, but I also like to spend time running or hiking in the woods, sometimes even barefoot! Hi, my name is Jordan, and I began working at Holly Street in July of 2016. I was born and raised in Hermitage, Tennessee, where I live with my parents and two cats. I am passionate about animals, music, makeup, and fashion. I am currently studying at MTSU to get my degree in psychology. I chose to work in childcare because I love building relationships and seeing the children grow, mature, and learn. 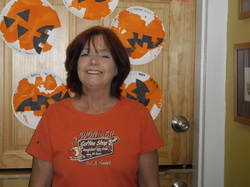 I am also known as Ms. Bonnie P. Holly Street Daycare has been my second home since 1986 and I love it! It is the greatest place to be. Ms.Karen and the staff are like my second family. I love spending my day with the children. Watching them learn and grow is a wonderful experience. One of the first children I cared for in the nursery is now married with 2 children. I still keep in touch with him. I have been married since 1970. I have 2 children, a son and a daughter. I have 2 grandchildren. I also have a beautiful great grand-daughter. Her name is Kylie-Aiyana and she is the light of my life. I went back to school and received my CDA in 1999. Later I went to NSCC and graduated with a Technical Certificate in Early Childhood Education in 2005 at the age of 53! Thank You for the opportunity to love, nurture and have fun with your children. Hello Everyone! I have been at Holly Street since I was an infant. I have 2 sisters and 1 brother. I also have a wonderful and sweet dog named Marley and really enjoy being outdoors. I just recently graduated from the University of Memphis.